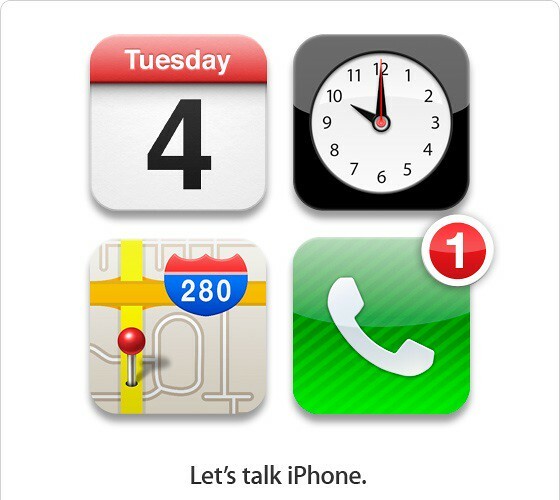 BREAKING: Apple’s October 4th iPhone 5 Event Confirmed – Latest update on the upcoming rumors Apple event which to be held on October 4th, 2011 is now confirmed by Apple. The event will be held at Apple HQ in Cupertino, California at 10.00 AM Pacific Time (1am Malaysia Time, Wednesday October 5th). It is known that Apple will be announcing about the next generationg iPhone (iPhone 4S, iPhone 5 or both) at the event, and is also expected to include updates on the iPod line. Besides, iOS 5 will be also debuting at the event. Apple has skipped the iPhone discussion in recent WWDC. Other reports have also shows that Facebook may launch its iPad app at the event too. Anyway, it will be an exciting event after a long wait and speculation of rumors around the Internet. All eyes are on the iPhone now.